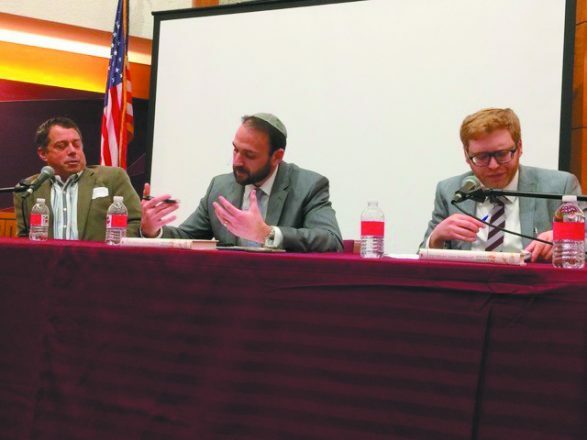 On Sunday, Nov. 18, the Michigan Jewish Action Council, along with the Cohn-Haddow Center for Judaic Studies at Wayne State University, presented “The Jewish Right-Left Divide: Can We Bridge the Gap?” This dialogue was the first step in a process to bring rapport to the Jewish community. An enthusiastic and engaged crowd filled Adat Shalom Synagogue’s chapel to capacity. Jonathan Neumann, author of the new book To Heal the World?, explained positions on the right of the political spectrum. 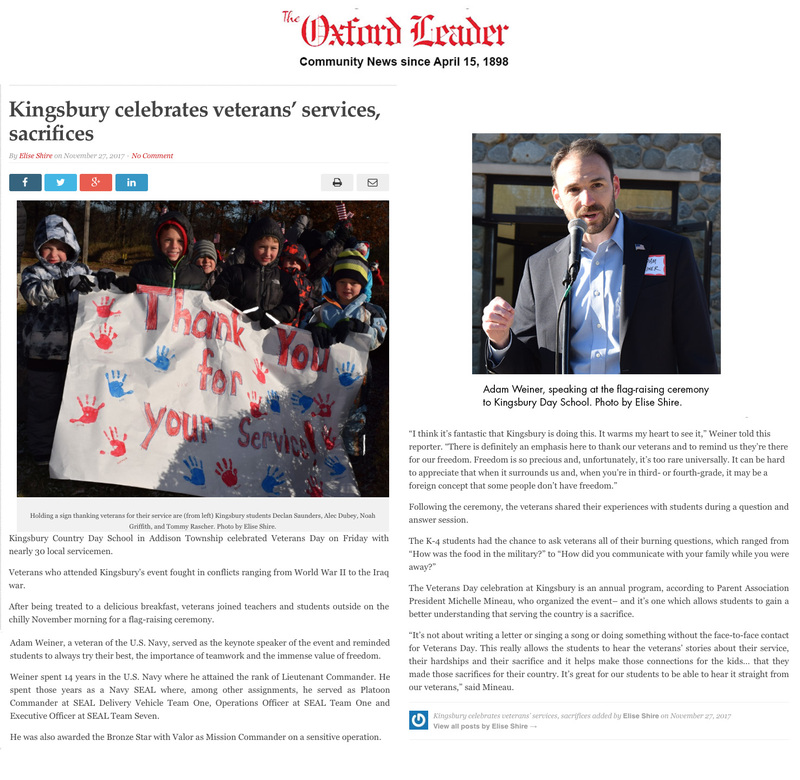 Professor Howard Lupovitch, Cohn-Haddow’s director, presented the left’s point of view. Former Navy SEAL LCDR Adam Weiner moderated the two-part discussion. 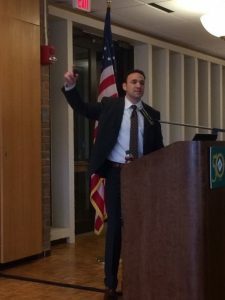 “At the Farmington Family YMCA annual campaign kickoff breakfast, former U.S. Navy SEAL Adam Weiner spoke about the intense dedication it took to complete the necessary training to join the Navy’s primary special operations force.